New Right leader Bennett says his party will work to remove legal interference preventing IDF from fighting terror effectively. 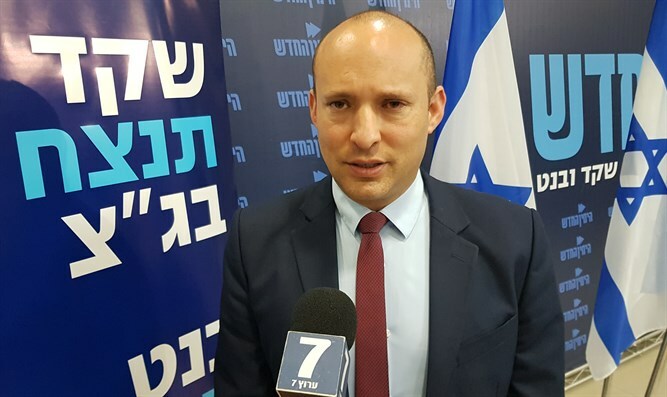 New Right party leaderftali Bennett explained his party's goals for the upcoming elections in an interview with Arutz Sheva. "It's vital to understand that Israel's judicial system is tying Israel's hands in fighting terror. For the past 30 years we have seen more and more that the Supreme Court is tying the hands of the Israeli sodliers in fighting terror. It's time to stop that," Bennett said. "Our goal for the next government is to take charge of the judicial system and the security system - the IDF. If we do this, if we get enough seats in the next elections, we will be able to take the ministry of justice and the ministry of defense. When we do that we will let Israel win again," he added. Bennett stated emphatically that "the judicial system is not holy. What is holy is the lives of Israeli soldiers and of Israeli citizens. Put them first."